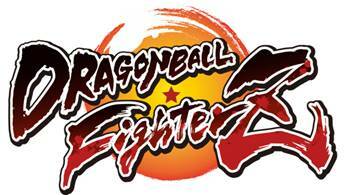 Looking forward to Arc System Works’ Dragon Ball game? It does look good, doesn’t it? Quite literally. If there’s one thing you can rely on Arc for, it’s gorgeous-looking beat ’em ups. Well, if you’re quick, you can still download and play the open beta for yourself (closes January 16th at 8am). Quick, go show the world that you have Dragon BallZ of steel! There were many complaints on the 13th from people unable to play the beta, due to not having permission to access the fighty content. This was due to those who pre-ordered getting a day’s early access; try again now, and you can smash cartoon heads in to your heart’s content. Don’t worry if you’re unfamiliar with beat ’em ups, or you’ve simply found that you’re not very good at them. Controls are very simple (and you even have access to tutorials), giving everybody a chance. If you’re already hyped for Dragon Ball FighterZ – or if the beta renders you thus – you may be interested in the public launch party being held by Bandai Namco (who have, bizarrely, missed the opportunity to call the event a Dragon Ball). Taking place Friday 26th and Saturday 27th January at Stamford Bridge, all you need do to attend is register online for free. Register early, and you’ll even bag yourself a free t shirt. Why would you want to go? Well, for the free t shirt, obviously – but there will also be Dragon Ball FighterZ tournaments to show off/humiliate yourself in, as well as a range of previous Dragon Ball games to play. Be aware that under 16s must be accompanied by an adult. Sounds like a lot of fun; we’re sure the event won’t drag-on. Hahahaha!! !